Posted October 31, 2018 by melody & filed under Uncategorized. Posted May 5, 2017 by Jen & filed under Garden, Lifestyle. For millions of years, humans have grown and evolved outdoors. We thrived surrounded by greenery. But as urbanization grows and technology develops, we’re seeing a growing disconnect between us and nature. It is estimated that we spend more than 90% of our time indoors. 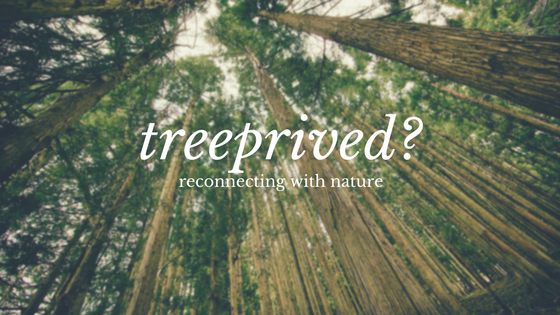 Treeprived. Nature-deficit disorder. Whatever you call it, it is steadily becoming more prevalent. But we can change. Not necessarily everyone else, but ourselves at least. Now is the time. We can all stand to gain from more time in nature. Nature has been linked to many positive health benefits, such as reducing mental fatigue. Sunlight and fresh air play a large part in the mood boosting effect of nature. Sun exposure increases the brain’s release of the serotonin, a molecule that helps relay messages from one area of the brain to another. Serotonin levels are also affected by the amount of oxygen you inhale. It is commonly believed that serotonin contributes to feelings of well-being and happiness. Regular immersion in nature has been shown to reduce blood pressure, anxiety, and even boost immunity. The month of May is the time of the annual 30×30 Challenge. We are to strive to spend at least 30 minutes in nature every day for 30 days. Changes start small. But small changes can make all the difference. 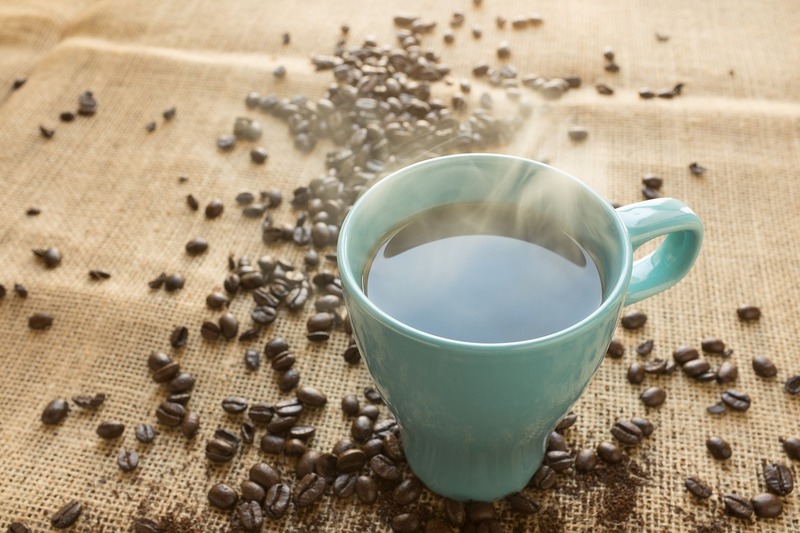 According to psychological research, it takes roughly 66 days to fully form a habit. By completing the 30×30 Challenge you are nearly halfway there. Posted January 13, 2017 by Jen & filed under Garden, Lifestyle. 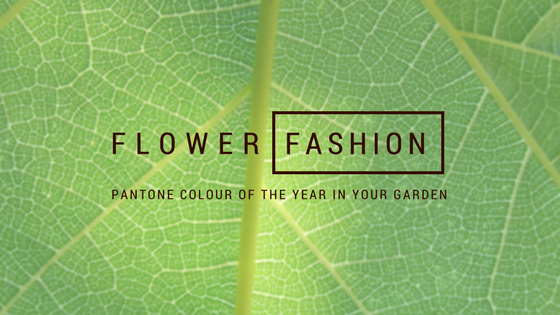 Every year, the premiere colour experts at Pantone choose a colour that they expect to be prominent within the world of fashion and design, but also one that reflects the general sentiment and mood of the upcoming year. 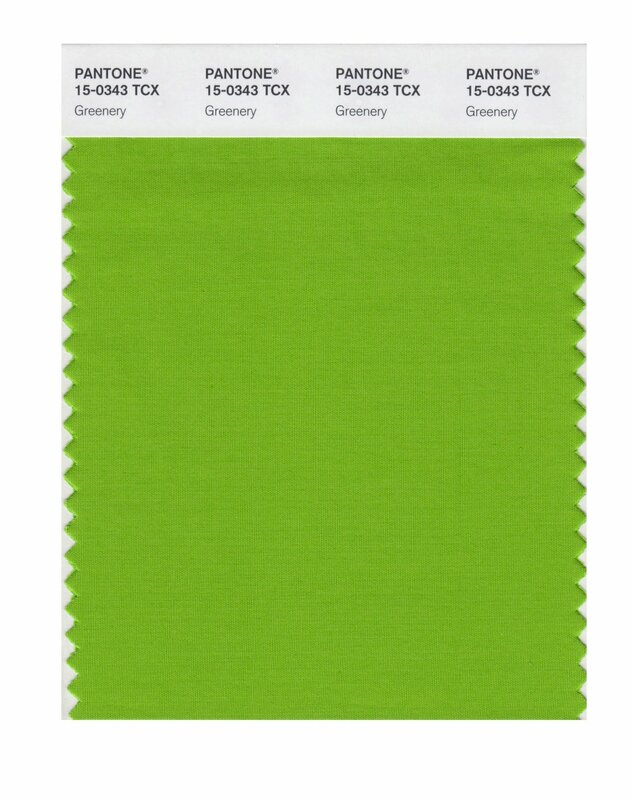 This year’s choice colour: Greenery. Refreshing and rejuvenating, Greenery is a fresh yellow-green shade that is illustrative of flourishing foliage and lush landscapes. It evokes a sense of rebirth and new beginnings, much like springtime. With the chaos of 2016 behind us, Greenery represents the fresh start we need for 2017. It’s a subtle reminder that, even after the cold winter, a cycle of new life begins again. Greenery reflects the our collective shift of outlook and importance in life. Nature is garnering attention once again. As more people find themselves stuck in their everyday routines and trapped behind screens, they are seizing every opportunity to get back into nature and reconnect. Nature walks and gardening are becoming more and more popular across all generations. Posted September 2, 2016 by Jen & filed under Food, Garden. 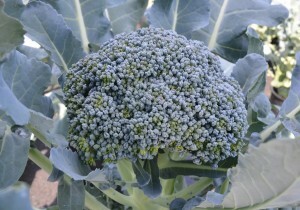 Broccoli tends to produce bigger, sweeter heads during the fall due to the cool weather. 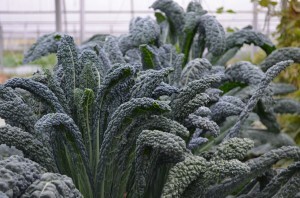 It is also a nutritional powerhouse, full of Vitamin C and K.
Kale tends to get sweeter once the cold temperatures hit. Tender, baby leaves can be harvested as early as 30 days, while it is fully matured at around 60 days. Lettuce loves the cool weather. 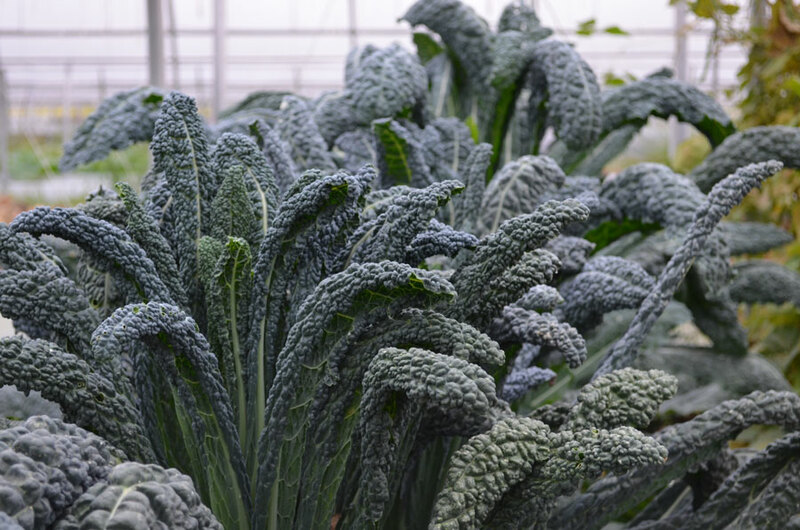 Plus, they have some of the shortest time-to-harvest. Like their cousin kale, cabbages tend to improve in flavour in cooler temperatures. 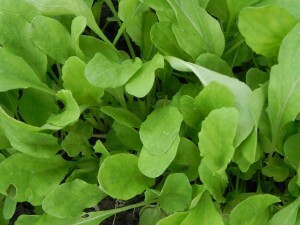 The shorter and cooler days of fall allows for arugula to thrive because it is not in a rush to produce flowers and seeds. 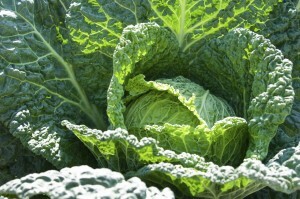 This means more energy can be used to grow more leaves. Baby leaves can be picked in as little as 30 days. Like the other leafy greens on this list, spinach can be harvested early as baby leaves or a little later as mature leaves. 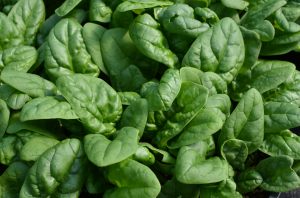 And, as we know from Popeye, spinach is a good source of iron and Vitamin C.
Beets give you a great bang-for-your-buck since all parts of the plant are edible. Beet greens are great in smoothies or baked as chips. The stems make excellent pickles. And the roots are, well, delicious in too many ways to name. 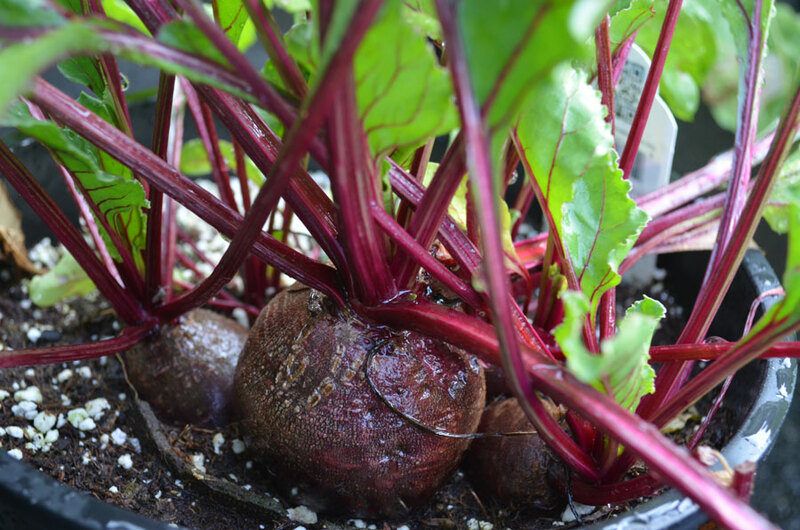 Although they make take a bit longer to fully mature, beets are quite hardy against frost. Posted August 5, 2016 by Jen & filed under Food. I was struggling to come up with a recipe to use up the rest of my eggplant when it hit me. A unyielding craving for pizza! Since the whole vegan challenge, we’ve been pretty good with our eating. Lots of fresh fruits and veggies (also, because our garden is a production monster), and a lot less junk food. 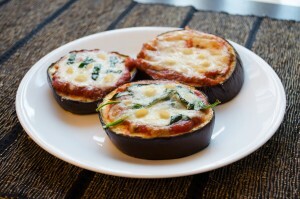 So I felt a little guilty to indulge… Thankfully for eggplant pizzas! 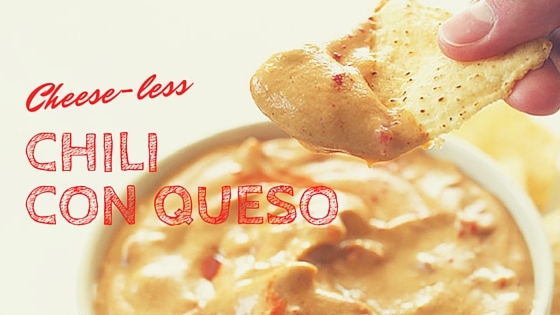 The extra vegetables make it seem less like a guilty pleasure. Pizzas ready to be broiled in the oven! 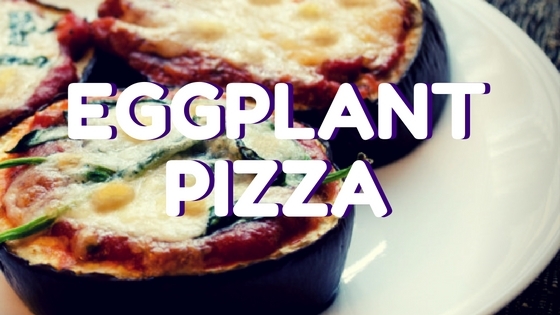 Eggplant pizza is so amazingly easy to make. And really, it’s only the prep of the eggplant discs that requires any sort of recipe. So let’s get to this! Cut eggplant into 3/4 inch thick slices, trying to make each disc the same thickness. Place eggplants on a double layer of paper towels then sprinkle both sides with the salt. This will help to draw out the moisture in the eggplant and make it less soggy once cooked. Let it sit for around 30 minutes. After the 30 minutes, wipe the eggplant discs with a paper towel to remove any moisture and the remaining salt. Brush with olive oil then place on an oil baking sheet. 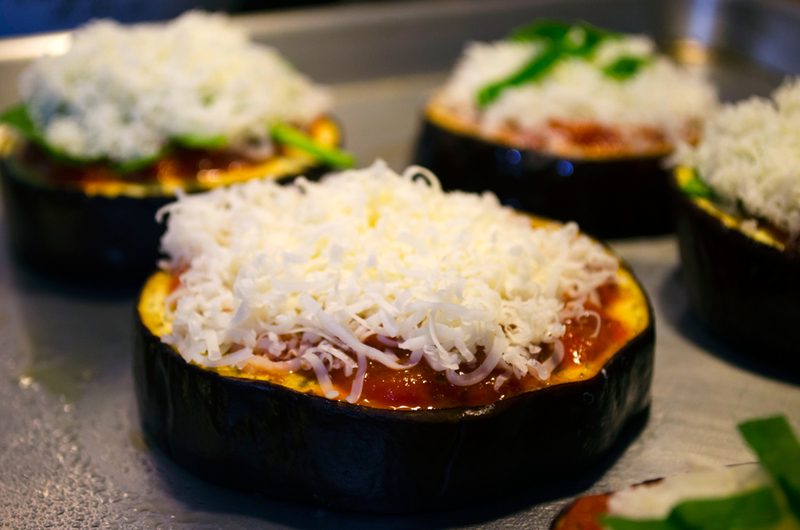 Bake the eggplants for 25 minutes or until cooked but not mushy. 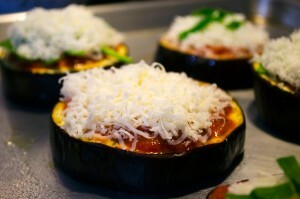 Once the eggplant discs are done, remove from the oven then turn the oven to broil. Assemble your mini-pizzas with whatever toppings you wish (I just used pizza sauce, spinach and cheese). Broil the pizzas until the cheese is melted and slightly brown. Make sure you keep an eye on them while under the broiler as it can turn from perfectly browned to burnt quite quickly. Serve hot and enjoy! Careful not to burn your mouth though! 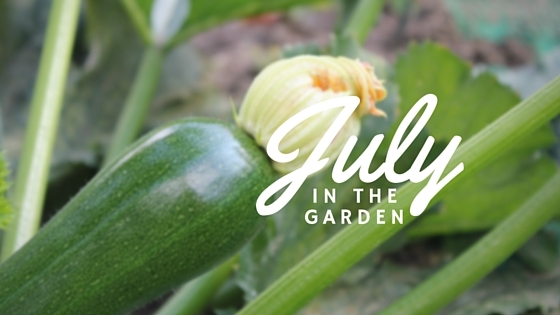 Posted July 8, 2016 by Jen & filed under Garden, Lifestyle. Sustainability is a hot topic wherever you look. At its core, a sustainable lifestyle aims to use as preserve valuable resources and to have a little negative impact on the environment as possible. Gardeners are perhaps already ahead of the curve when it comes to sustainable living. Fresh vegetables from your own backyard or patio are as local as it gets. Planting beautiful landscapes of flowers not only cleans the air but also supports the lives of pollinators which, in turn, support our lives. Though we are trying to do our part, there are always ways to improve. 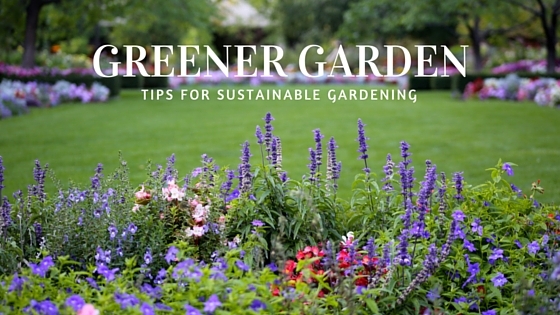 Here are some tips to use resources in an eco-minded way and garden sustainably. 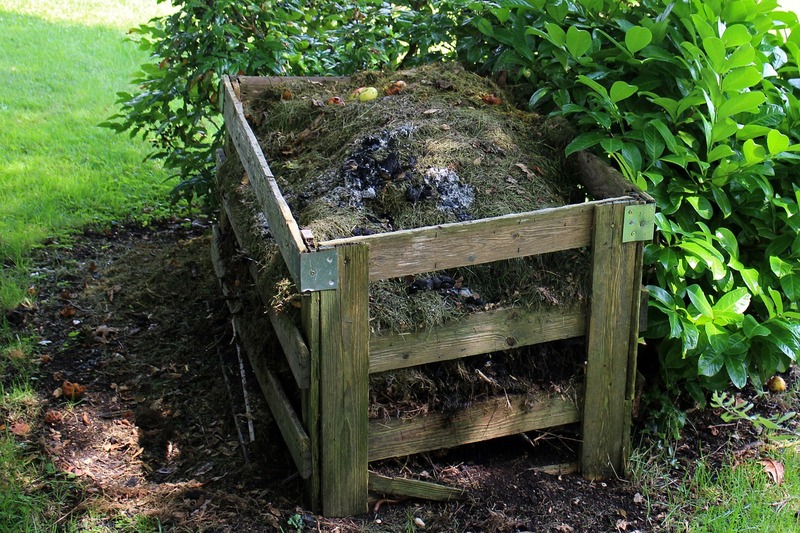 Composting green waste is one of the best ways to create a sustainable garden. Recycling grass clippings, deadheaded flowers, food waste, and dried leaves makes nutrient-rich soil amendments that can boost the productivity of your garden. It also reduces the amount of organic materials that end up in landfills. This is important because when organic materials breakdown in an environment lacking in oxygen (like when buried under layers and layers of garbage), it produces methane which is 25 times better at trapping heat in the atmosphere than carbon dioxide. 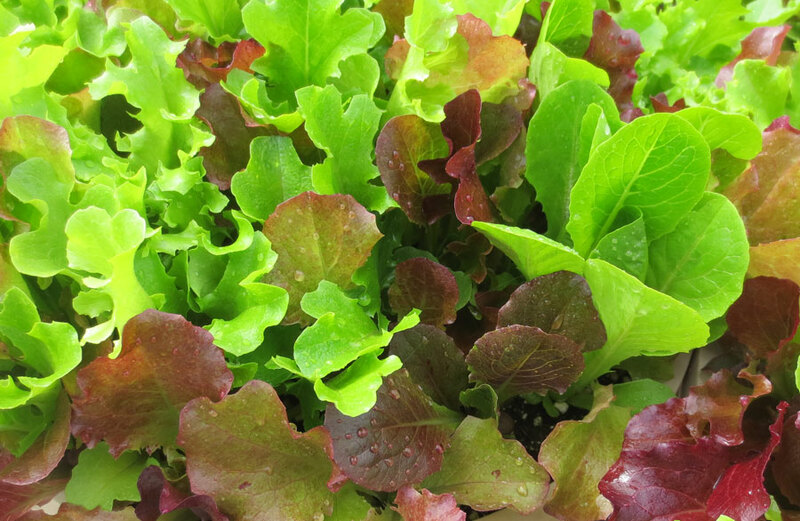 Growing organic is not only healthier for you, but also healthier for the environment. Pesticides have many undesirable effects including, but not limited to, polluting the air and contaminate the soil. 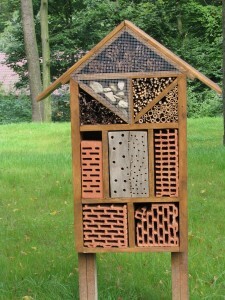 They are also non-specific ways of killing insects in the garden. 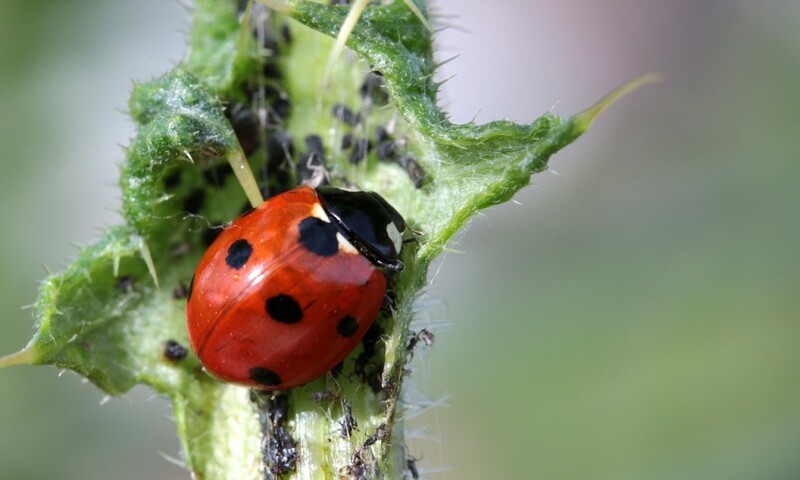 That means that it kills beneficial insects, such as ladybugs, along with the unwanted pests. The use of these chemicals is strongly linked to declining pollinator populations, which can result in catastrophic consequences for human life. The more you stay away from pesticides, the better you’ll be. 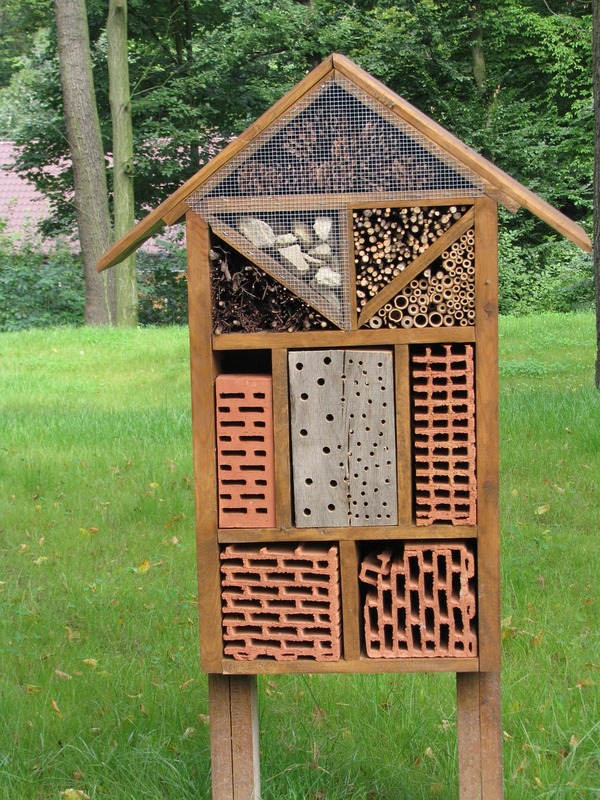 There are many alternatives that can be used; beneficial insects, jets of water, and safer soap to name a few. Installing rain barrels or other water collection systems can also be extremely beneficial. And when you do have to water, make sure you are watering smart. Only water when your plants need it but water deeply by hand at the root zone of the plant to avoid wastage. Metro Vancouver has a great site with tips for conserving water. Posted July 2, 2016 by Jen & filed under Garden. Kick back with a fresh cocktail this month and bask in the compliments you’ll receive on your beautiful backyard masterpiece. Much like last month, most of July’s tasks are basic maintenance and upkeep. Deadhead spent blooms to keep your containers and baskets looking fresh and to promote more growth. Clean up any wild growth by pinching them back. If any of your annuals die on you, clear it out and add it to the compost. Don’t fret too much about it. It happens to the best of us. 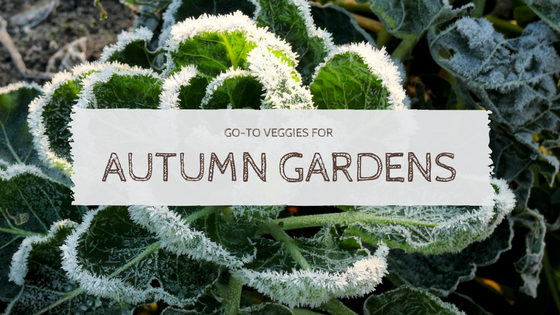 Go through the garden at least a couple times a week to harvest any ripe fruits and veggies. Get creative with the recipes you make with your freshly picked produce! Did you know that you can make gummy candy from zucchinis? Be adventurous! And don’t forget to share. 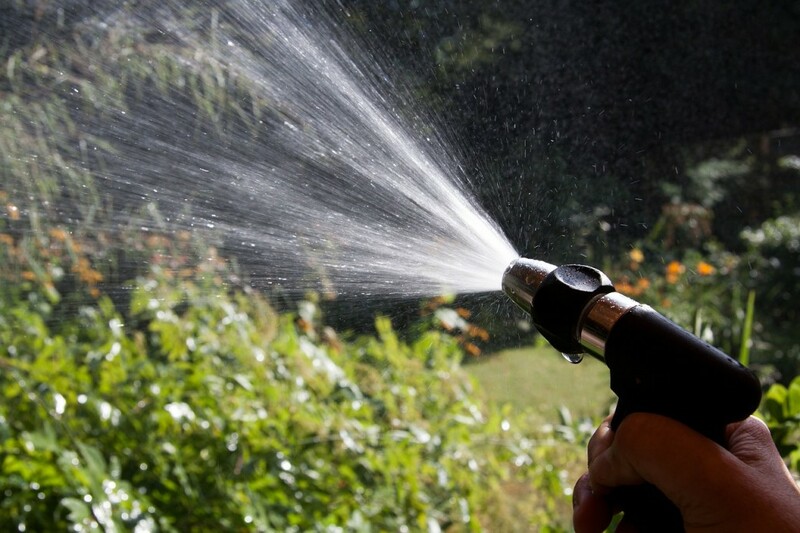 Watering will be a big concern for your garden as the temps heat up. Make sure your plants are getting enough and there is consistent moisture throughout the soil. Also, a friendly reminder: if conditions get really dry, don’t be too concerned with watering your lawn. Let it go brown. It’s drought chic. Plus, grass will always bounce back once conditions get better. Posted June 24, 2016 by Jen & filed under Garden. 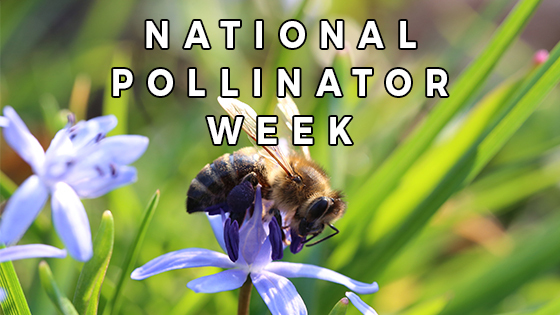 National Pollinator Week is coming to an end but that doesn’t mean pollinators should be pushed out of our thoughts. It should be a year-long commitment to protecting these vital parts of our environment. Here are some ways to keep butterflies in your garden. As with any pollinator gardens, you want to steer clear of using any sort of pesticides, conventional or organic. These products kill insects of all creeds, including the beneficial ones. Butterflies use the sun to warm up their wings and orient themselves to their environment. Lay a few large, flat stones in sunny garden spots for them to relax and soak up some rays. In the words of the great Louis Litt, “There’s nothing to be afraid of – it’s just good clean mud.” Butterflies love muddy puddles! They not only rehydrate at such watering holes, they also take in salts and minerals from the soil. You can made puddling pools easily. Simply fill a shallow pan with sand/gravel and bury it to the rim in your butterfly garden then top up with a bit of water. Since these pools aren’t just for grabbing a quick drink, occasionally sprinkle some salt onto the pool and add some overripe fruit, beer or compost from time to time. If you have ever noticed, butterflies are only out and about when it is bright out. That’s because they generally feed in the sun. Make sure you plant nectar- and pollen-rich flowers in spots that receive full sun from mid-morning through mid-afternoon. 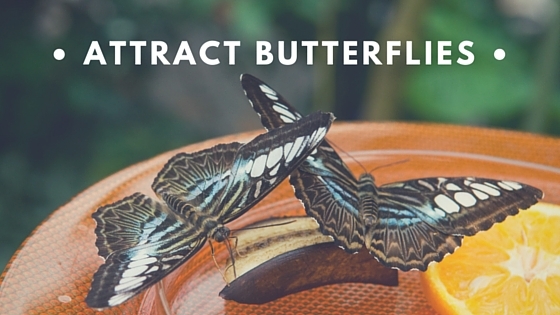 Butterflies are attracted to red, yellow, orange, pink and purple flowers with short flower tubes. Here is a short list of Tried & True plants that pollinators love.